Councillor Kate Mphahlele has promised the residents of Diepsloot that she will invite all relevant community stake holders, to examine local foreign owned shops after allegations that foreigners sell expired goods. Mphahlele says she is well aware of the lootings that were taking place in other areas. She says she is very proud of the people of Diepsloot because they did not indulge in unlawful behaviour. “I as the Councillor I am well aware of what was happening in other areas, as a result I will engage with all the relevant structures like health inspectors, JMPD and community leaders to visit all the shops around Diepsloot and check if goods sold are safe for consumption.” Said Mphahlele. Foreign national David Gichamo working as a shopkeeper in Diepsloot said he welcome the inspection yet to come. “We are ready anytime they can come and check our goods are up to standard. We usually place expired food on the floor by the door, people come and take it for free to give it to their dogs.” Said Gichamo. He said he watched the news and saw looting taking place in other areas but he was not worried at all because he has been with the community of Diepsloot for a very long time. 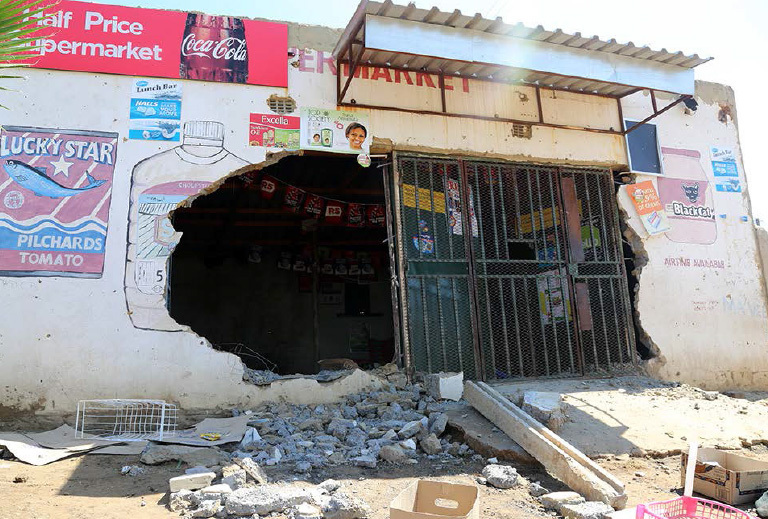 He said what surprised him was that the people who looted shops in Soweto consumed the goods which they claim to have looted because they are expired. Simphiwe Hlatjwayo a resident of Diepsloot says she does not see a reason to loot a shop, if there are community leaders who can work on the matter and separate the truth from lies. She said if a person is guilty the law can take its course. “We may live in shacks but we are not hooligans, we respect the constitution.” Said Hlatjwayo. Want to know what people really think?